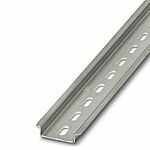 DIN Rail is a metal strip rail commonly used for mounting industrial control equipment inside equipment racks and enclosures. 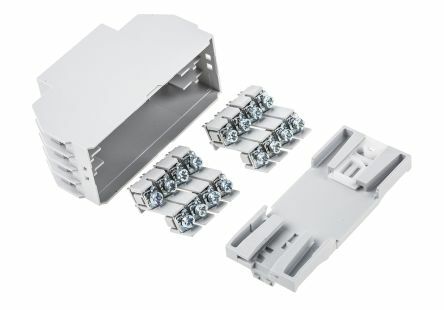 There are many types of DIN Rail available many of which conform to European (EN) and international (IEC) standards, in order to match with the control equipment the rail is intended to secure. 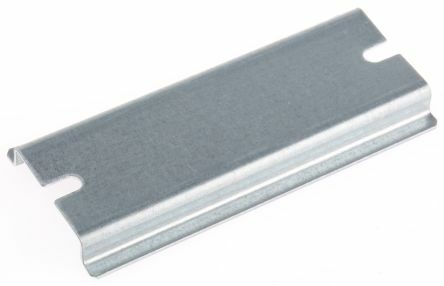 Top Hat (EN 50022) - This 35mm wide rail is also known as TS35 rail. The EN 50022 standard specifies both a 7.5 mm and a 15 mm deep version. 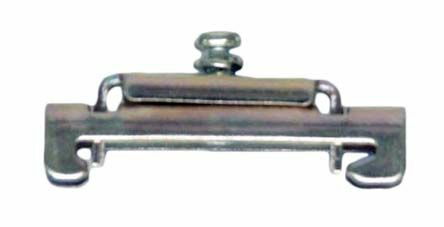 Miniature Top Hat (EN 50045) – Also known as TS15 rail, this is a smaller version of the standard Top Hat rail, with 15 mm width and 5.5 mm depth. C Section - Also called a TS-32 rail. The cross-section of C section rail looks like the letter "C", the curved rails feature a symmetrical appearance. 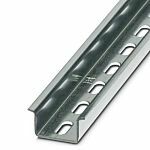 G Section (EN 50035) – This rail features a G-shaped cross-section with a curved asymmetrical appearance.